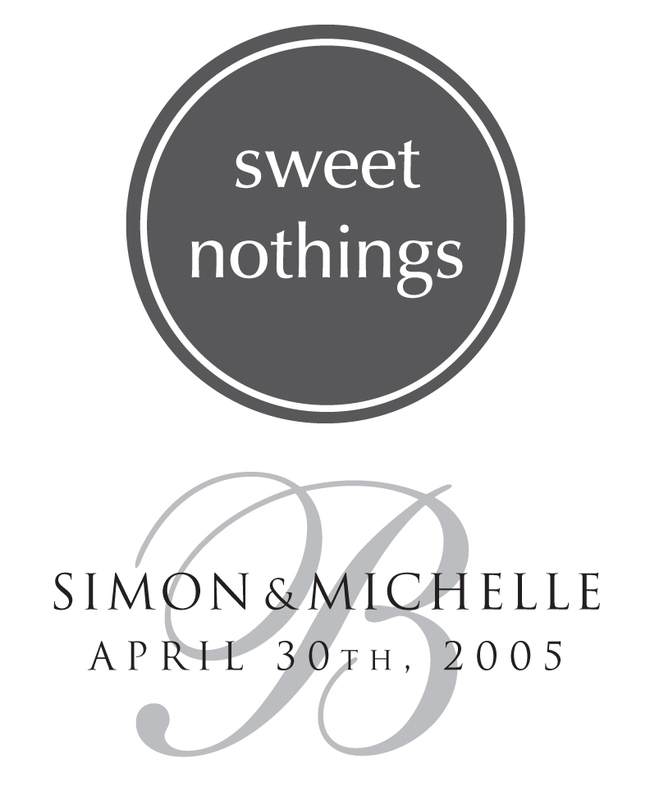 In honor of our anniversary this past weekend, I thought I’d share the music we put on our wedding CD (we gave this out to our wedding guests as one of the favors, we also alternated coffee and chocolate at the tables – all our favorite things). We’re going to ignore the fact that our handing out the CD probably violated some sort of copyright or distribution laws… bygones. 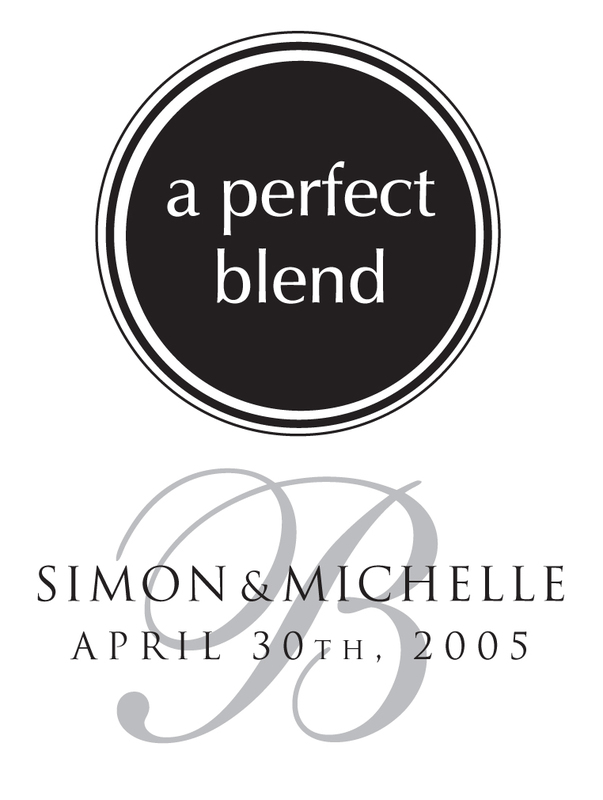 Our friend, Andy, who is the music director at our church and was our small group leader at the time, did the music for our wedding and for the unity candle, he played Open Skies, which was a song we sang often in small group – it was very special and personal to us and I still feel blessed by how it came together perfectly in our wedding. 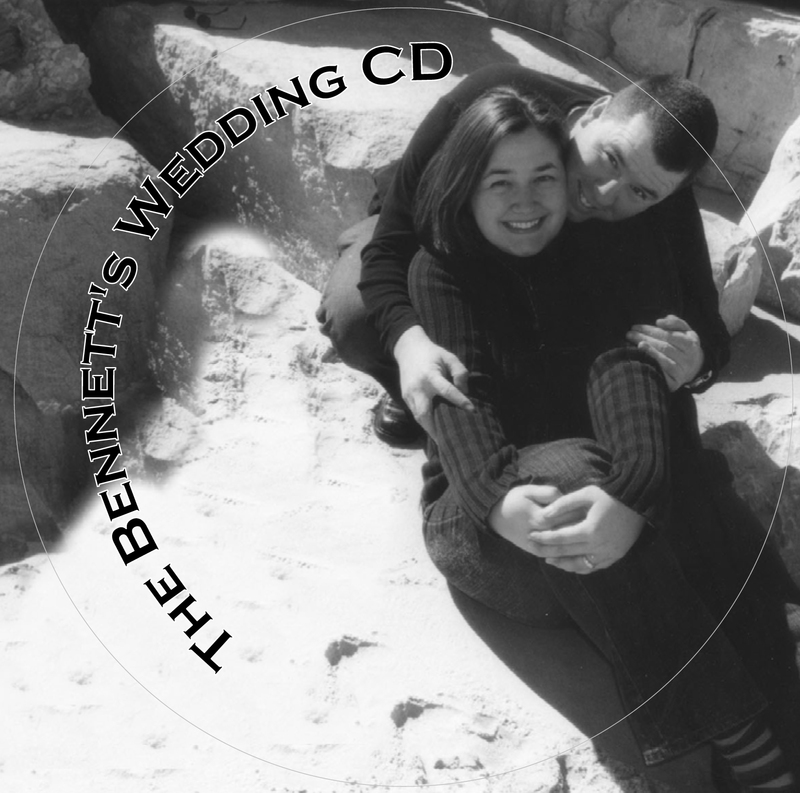 The rest of the songs were, and still are, special to us separately or as a couple. If you had asked me before meeting Simon if I knew any Crowded House songs I probably would have said, “Who?” But come to find out, I did know their music, just didn’t know the same of the band. Since we’ve met, we’ve seen them in concert twice (ironically, Simon went to their *farewell to the world* concert in front of the Opera House in Sydney back in 1996). 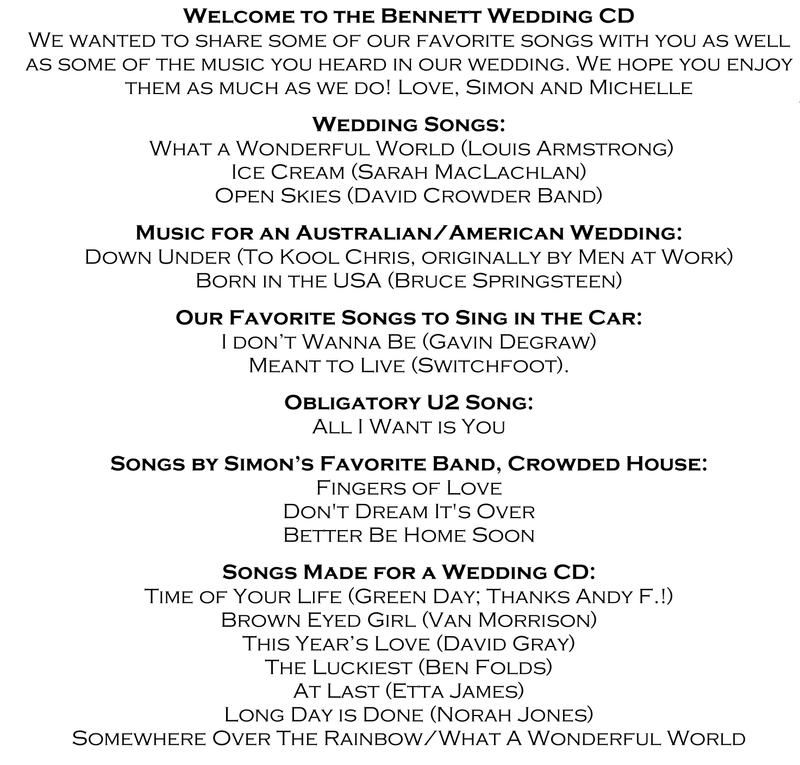 My only regret on the CD was Born in the USA – obviously the sentiment of the title worked for our Australian-American theme, but the rest of the lyrics were a little inappropriate for a wedding CD.